Carb DM’s mission is to build a supportive community that improves the quality of life and health of all those affected by type 1 diabetes. The Carb DM community fosters connections among people with diabetes, their loved ones, and medical professionals; promotes learning; and develops strategies for thriving with diabetes. 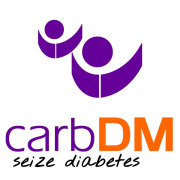 Carb DM - Seize Diabetes brings the type 1 community together through a variety of programs, gatherings, and special events. Would you recommend Carb DM?